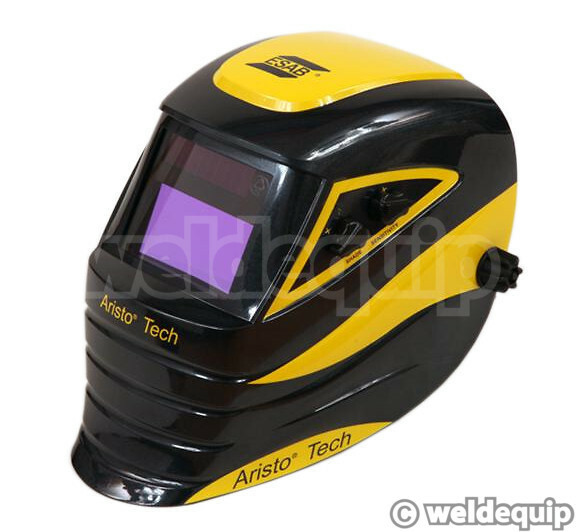 Featuring the latest in digital lens technology, with internal LCD display, the Aristo® Tech provides precision control over Shade, Sensitivity & Delay settings. 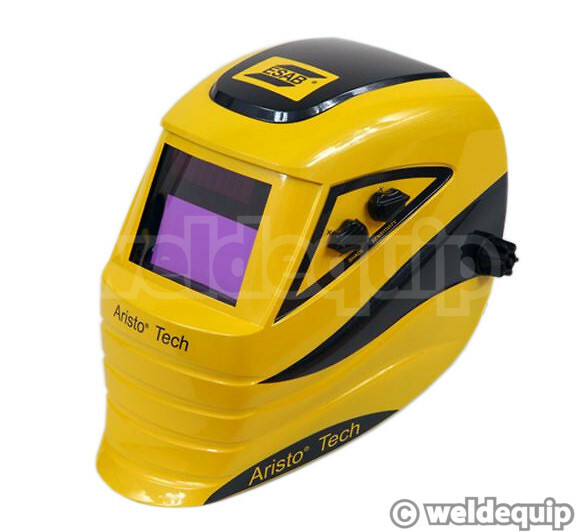 Two different shade ranges, selected by the flick of a switch internally, cover Plasma Arc Cutting and low amp TIG - 5-9 range - and general MIG/MAG, TIG & MMA in a second 9-13 shade range. There are 7 lens Sensitivity settings and it will automatically set to clear 'Grind Mode' on an 8th position. Lens reaction Delay time can also be precisely controlled in 8 steps, from 0.1 of a second up to 3.5 seconds. 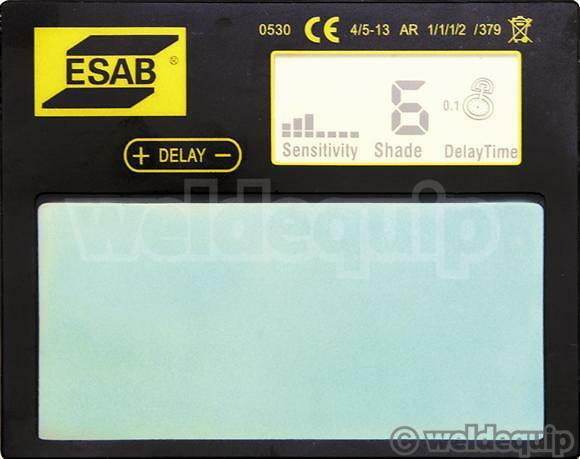 Shade control & Sensitivity can be easily set externally with Quickset™ - simple 'Up-Down' knobs -instead of the usual dials, and all settings can be viewed on the internal LCD lens display. Optical class is the highest 1/1/1 and the helmet shell itself is one of the lightest available at 490g, with a very narrow profile for tight access jobs. The headgear is totally adjustable and comfortable.